I’ve had a love hate relationship with eyelash extensions for quite some time now. For a start, most salons in Hong Kong are really expensive with pricing of around $2000 HKD for the initial set then $900 a month for infils. Secondly I’ve found the results a little too “natural” meaning I could barely see the difference. Lastly I found them irritating and difficult to care for, so I decided to not do them anymore. That was until a friend of mine convinced me to give her salon a try. I. C Beauty is where all the Hong Kong girls who are in the know go. Now, let me be clear, I.C Beauty is not a chic salon by any measure, yet, it is clean, inexpensive and the technicians are efficient. Its important to book ahead, there’s usually a line during the lunch hour but you will be out of there in around 1 hour 15 minutes. I’m a eyelash technicians nightmare as I cannot stop blinking, but all the girls are patient and professional. My favourite thing about I.C Beauty is you can choose how long you want your lashes, I always ask for the longest they have. The lashes they use are synthetic so when they are first done they can look a little shorter but in a day or two they tend to relax and lengthen and look super glamorous. The cost for three sessions is $800 HKD so it leaves you lots of extra cash left over for all your other beauty treatments. The extensions are removed and replace each session so the lashes are always in top condition. I’m all about aftercare, so I use an eyelash growth serum, as additional pressure is placed on the lashes and they can sometimes break if you’re not careful. 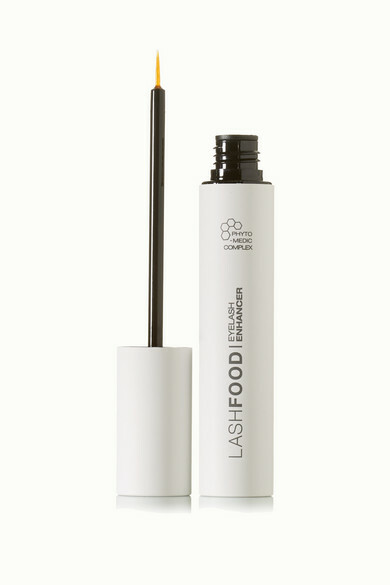 I use LashFood Eyelash Enhancer twice a day to keep my eyelashes strong and accelerate growth. Every now and then I give my lashes a few weeks rest, so this product is great, as even without the extra va va va voom of my extensions, I’m left with luscious healthy long lashes. I apply it to the top of my lash line as I would liquid eyeliner morning and night. Its so simple and the growth of my natural lashes is always amazing! Expect big result in just a month!